The Russian Federation is a federal semi-presidential republic. It gained its independence in 1991 after the Soviet Union broke apart. The current political scene is dominated by President Vladimir Putin and his United Russia party. During the parliamentary elections on 18 September 2016 the ruling United Russia party was granted a constitutional super majority in the legislation. Turnout to the new Duma elections was the lowest in the post-Soviet history of Russia, 47.81 percent as compared to 60.1 percent in the 2011 elections. No opposition party managed to pass the 5 percent threshold. Two new counties have been added in the 2016 elections - Crimea and Sevastopol. Internationally, Russia is criticised for the annexation of Crimea, supporting separatist movements in Eastern Ukraine and alleged meddling in the 2016 US Presidential elections. Sanctions have been multiplied by Western countries affecting its economy. In the 2018 Russian presidential election Putin managed to retain his seat by nullifying the opposition by systematic repression. Want to get notified by mail when Russia gets updated? Vladimir Putin was born in Leningrad (now St Petersburg) on 7 October 1952. He graduated in 1975 with a degree in law from the Leningrad State University. In 1997 he earned a PhD in economics for his thesis on “Strategic Planning of Regional Raw Material Operations in a Market Economy”. After his graduation in 1975 Putin started working for the KGB. He was stationed in East-Germany from 1985 to 1990. Upon his return to Leningrad he became assistant to the rector of the Leningrad State University at the department of International Affairs. Next he became an advisor to the chairman of the Leningrad City Council. He soon made a career within the St Petersburg city council as chairman of the Council’s International Relations Committee in 1991. From 1994 he started working as First Deputy Mayor of St Petersburg. In 1996 he started working as a state official with the national government. In May 1998, he was promoted to first deputy head of the Presidential Administration and two months later he became head of the Federal Security Service. In March 1999 Putin also started working as Secretary of the Security Council. In August 1999 he was appointed Prime Minister by President Boris Yeltsin. On 31 December 1999 Putin became acting President of the Russian Federation and on 26 March 2000 he was officially elected with 53 percent of the votes. After his popular first term as president he was re-elected in March 2004. After two presidential terms Putin had to resign, because the Russian constitution prevents three consecutive presidential terms. Therefore Putin appointed Dmitry Medvedev in 2008 as his successor and became Prime Minister again himself. In March 2012, he was re-elected for a third presidential time with 63,6 percent of the votes. A law amendment in 2008 extended the presidential term with 2 years, hence Putin will stay in office for at least 6 years and may run for re-election in 2018. Vladimir Putin is married to Lyudmila Putina and they have two daughters. Dmitry Medvedev was born on 14 September 1965, in Leningrad (now St Petersburg). He graduated from the Faculty of Law at the Leningrad State University in 1987 and completed his post-graduate studies at the Leningrad State University in 1990. 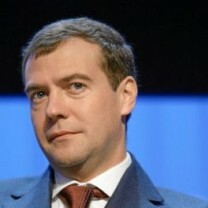 Medvedev holds a PhD in law and the title of associate professor. Between 1990 and 1999 Medvedev was a lecturer at the St Petersburg State University. Simultaneously, he was an adviser to the Chairman of the Leningrad City Council and an expert consultant to the St Petersburg City Hall’s Committee for External Affairs between 1990 and 1995. In 1999, he was named Deputy Government Chief of Staff of the Presidential Executive Office. In 2000, his position was upgraded to the First Deputy of Staff. Between 2000 and 2001, Medvedev was the Chairman of the Board of Directors of Gazprom. In October he was appointed Chief of Staff of the Presidential Executive Office. Two years later, in November, he was appointed First Deputy Prime Minister. On 17 December 2007, Medvedev was endorsed by the ruling United Russia party as a candidate in the presidential elections in 2008, following the endorsement of its leader, Vladimir Putin. On 2 March 2008, Medvedev was elected President of Russia, succeeding Putin with 70.28 percent of the votes. After a four-year-term he nominated Putin as the party’s presidential candidate, himself heading the party’s list in parliamentary elections. Medvedev is married and has one son. Power in Russia’s political system is concentrated in the hands of President Vladimir Putin. Since his election in 2000 Russia has experienced gradual democratic backsliding. The federation has shown an increasing level of human rights violations, repression of opposition parties and organizations and increasing control over media. Opposition parties have difficulties in manifesting political programs, campaigns, rallies and protests. New laws and constitutional amendments in 2007 and 2008 further marginalized the opposition and concentrated more power in the hands of the president. A vertical political structure has been consolidated by Putin and his United Russia party in the last decade. The Kremlin tries to uphold the façade of freedom and democracy, but elections are tightly controlled. The federative character of the country seems a formality, as regional autonomy is suppressed. Constitutional constrains on the vertical power structure are bypassed by amendments or loopholes, like the two term consecutive limit on the presidency. When in 2008 Putin was ineligible to run for President, he picked his loyal friend Dimitri Medvedev as his placeholder. Putin assumed the post of prime minister, before he returned to presidency in 2012. Civil liberties are reduced by the state. Independent media outlets are suppressed by the Kremlin with all kind of tools, formal (with repressive laws) and informal (through financial takeovers). The respected investigative journalist outlet RBC was sold in 2017 to a Putin ally. Critical journalist had to leave the company after the acquisition. Other critical media outlet, like Ekho Moskvy are threatened and attacked. There have been cases of critical journalists dying under suspicious circumstances. Opponents of the regime are being marginalised. Critical voices such as anti-corruption crusader Alexei Navalny are able through social media and rallies to express their discontent with the regime, but are held back at critical moments, like elections. Navalny has been jailed multiple times since 2012. Based on a suspicious fraud case the state filled against him, Navalny was unable to run for president in 2018. Content he publish on social media is often taken down by Russia’s internet watchdog. Other movements have also been undermined or even forbidden. Russia has many marginalized groups. The Kremlin tolerates discrimination and violence against the LGBT community, while the authorities have passed an ‘anti- gay propaganda law,’ prohibiting any (positive) discussion of LGBT with minors . As a result several brutal incidents were reported in 2017. None of the accusations were properly handled by the authorities. Ethnic minorities are tightly monitored by the Kremlin. Schools in the Tatarstan region were forced to reduce Tatar language classes under federal pressure in 2017. Women are underrepresented in public life and politics. Only 1/5th of the Duma consists of Women, while there are only 2 female ministers in the current cabinet. Meanwhile domestic violence is widespread in Russia. In February 2017, a law was signed that decriminalized violent acts in the home that only caused pain, and did not result in permanent physical harm. Following the Euromaidan events in Ukraine, the annexation of Crimea in February 2014 and support for the separatist movements in Eastern Ukraine Russia has increasingly been under pressure of Western countries, notably the US and the European Union, who have multiplied sanctions against the country. Subsequently Russia has increased tensions with almost every Western country in the last years. Support for anti-European groups in Western Europe and the Balkans made relations with the EU difficult. Russia’s suspected efforts to undermine the 2016 United States presidential elections further deteriorated relations with Washington. And the assassination attempt on a former Russian spy in England in 2018 – widely attributed to Russia’s security agencies - resulted in British sanctions against the federation. Meanwhile Moscow has supported authoritarian regimes like the ones in Syria and Iran. During the Syrian Civil War, Russia intervened on behalf of the regime of Syrian President Bashar al-Assad..
After the break-up of the Soviet Union the Russian Federation gained independence on 24 August 1991. The country is a federal democratic republic with a strong presidential system. Previously, the people elected the president for a four-year term, but an amendment to the constitution prolonged the term to six years as of 2012. Vladimir Putin, who served as president from 2000 to 2008, was succeeded by Dmitry Medvedev, his appointed successor. However, Putin was re-elected in 2012 for a third term in office. The Federal Assembly has two chambers: the State Duma (Lower House) has 450 members, elected for a five-year term through a mixed electoral system (half of parliamentarians elected in majoritarian single-mandate districts and half – through party lists). The Federation Council (Upper House) has 170 members, two delegates for each of the 85 regions. On 18 September 2016, parliamentary elections were held in Russia. The official turnout was 47,81 percent (60,1 percent in 2011). The ruling United Russia party gained 54,24 percent of the votes, which indicates an increase in support in comparison with the 2011 elections, where the party won 49,32 percent of the votes. The Communist Party of the Russian Federation (CPRF) received 13,44 percent of the counted votes (19,19 percent in 2011), Liberal Democratic Party of Russia (LDPR) - 13.25 percent (11,67 percent in 2011), and A Just Russia – 6,18 percent (13,24 percent in 2011). The other eight parties that participated in the elections – among others Yabloko, Parnas and Patriots of Russia, will not be represented in the parliament, as they did not pass the 5 percent threshold. As Yabloko won less than 3 percent of the votes, it doesn’t get the right to receive financial support from the state. The results mean that the United Russia party gets the constitutional majority that it lost after the previous election. According to the Statement of Preliminary Findings and Conclusions of the OSCE Office for Democratic Institutions and Human Rights (ODIHR), a low level of campaigning and violations during the campaigning process were observed. The activities of the ruling party were generally the most visible and prevalent. The main campaign topics were the socio-economic situation, political stability, patriotism and foreign policy issues. There was no clear political alternative offered in the elections, which limited the voters’ choice. In almost half of the federal subjects, local state bodies attempted to pressure the voters into voting for the governing party and selectively applied notification procedure to deny or condition permissions to hold rallies for the opposition. Media – and especially state media - failed to grant contestants with equitable coverage, with the ruling party receiving more editorial coverage than other contestants. During the campaign, leaders and several members of the opposition Parnas party were physically attacked (e. g. Mikhail Kasyanov on 10 August in Stavropol) or detained by police. On 3 September in Tyumen, police disrupted an authorized opposition party Yabloko event, briefly detained three participants and confiscated campaign material due to participation of minors. There was also destruction of campaign material and dissemination of false and libelous information about various contestants discrediting them. OSCE Election Observation Mission (EOM) recognized Central Election Commission (CEC) administration to be transparent, whereas lower level commissions performed unevenly and lacked impartiality and independence. There were problems with the secrecy of the vote in half of the polling stations. Numerous procedural irregularities were noticed during counting. EOM observers were not able to meaningfully observe the counting and tabulation. At 38 percent of the monitored stations ballots were counted in a manner that not all those present could see the voter’s mark. A third of the Precinct Election Commissions results protocols were not posted for public scrutiny. Opposition members reported instances of mass lifts (to the polling stations; illegal if organised by a candidate or his/her affiliated structures) and ‘cruise voting’ or carroussel voting, where the same voters are taken around several polling stations to vote several times with an absentee authorisation. Election monitoring group Golos had received more than 2,000 complaints of suspected vote rigging from all over the country by early afternoon on 18 September. Among the reported violations were long lines of soldiers voting at stations where they weren’t registered, and voters casting their ballots on tables instead of curtained-off voting booths. The U.S. State Department noted that the election commission "administered the elections transparently", but added that it shares OSCE observers' concern about limitations during the candidate registration process, misuse of administrative resources by some local authorities during the campaign and harassment of opposition members. Great Britain and the European Union didn’t recognise election results in Crimea and Sevastopol. On 18 March 2018 presidential elections took place in Russia, in which 67,96 percent of the Russians cast their ballot. Incumbent President Vladimir Putin was re-elected with 76.69 percent of the votes. Consequently, he secured his fourth mandate. Putin has been president between 1999 and 2008. He was prime minister under Medvedev between 2008 and 2012 when he was ineligible to seek another consecutive term, but was widely believed to be in charge in the background. In 2012 he was re-elected president. The other seven candidates all received less than 1/8th of the votes. Pavel Grudinin, candidate of the Communist Party, gained 11,77 percent, which is a 6 % loss compared to the communist party’s bid in 2012. Vladimir Zhirinovsky, leader of the Liberal Democratic Party of Russia, acquired 5,65 % of the votes, a similar result to the last elections in which he was running for president as well. The remaining candidates all received under 2 percent of the votes. Opposition leaders and independent monitors stated that the election were characterized by suppression of the opposition. The OCSE concluded that the elections took place in a state controlled environment in which citizens were pressured to vote and candidates were unable develop a competitive campaign. All candidates expressed their certainty that the incumbent president would prevail. 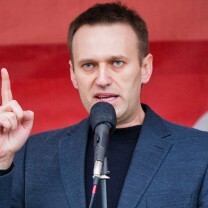 High-potential candidate Alexey Navalny excluded from the electoral process. The media gave the incumbent president an advantage over the opposition candidates. While no large disturbances occurred, over two thousand incidents at polls were reported. Including carousel voting, ballot-box stuffing and violence. The reactions from Europe were mixed. Serbia was one of the first countries to congratulate Putin, citing that Russia is a genuine friend of Serbia. Hungary, Bulgaria, Moldova and the Czech Republic followed the Serbian example. Other European countries didn’t officially sent congratulatory messages to Putin. German Foreign Minister Heiko Maas said it was not a "fair political competition," according to European values and that Russia would "remain a difficult partner." 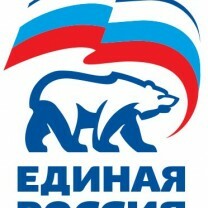 United Russia is the largest political party in contemporary Russia and is considered to be the ‘party of power’. 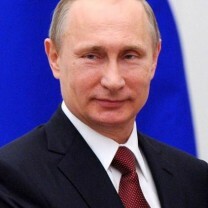 Since 15 April 2008, Vladimir Putin has been the chairman of the party. United Russia was founded in April 2001 when the parties Fatherland – All Russia, led by the then Moscow Mayor Yuri Luzhkov, and the Unity Party of Russia merged. In 2003 the party published its political manifesto called ‘The Path of National Success’. United Russia is a conservative party whose goal is to unite political forces and support the Russian president in order to enhance national unity. They reject the classical concept of left-wing and right-wing politics as they depart from a static notion of political centrism. United Russia supports a mixed economy in which a free market is combined with state regulation. Economic benefits should be redistributed for the most part to the poorest people. The party claims to have 2,01 million members (2010) and occupied 238 out of 450 seats in the State Duma after the December 2011 elections, which did not give it a constitutional majority. These results indicated that the party started to lose its popularity. Nevertheless, in the 2016 elections a majority of Russians voted for United Russia. 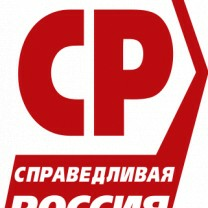 The Communist Party of the Russian Federation (CPRF) is the biggest political party after United Russia and it is the most influential opposition party in the Russian Federation. 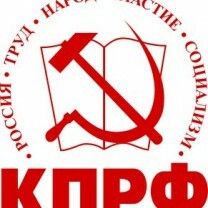 The CPRF might be considered as a successor to the Communist Party of the Soviet Union (CPSU) but differs in many respects. Its leader, Gennady Zyuganov, co-founded the party in 1993 together with other senior Soviet politicians. The CPRF, as it is formed by Zyuganov, is popular-patriotic in character. It is not a strict communist party, as it no longer prohibits religion and opts for a mixed economy. Its main characteristics are the demand for a strong state, economic equality for the citizens of Russia and social justice for all. It targets the wealth of the new class of oligarchs. Therefore, the CPRF is especially popular with pensioners, industrial workers and non-profit organisations' employees. After the collapse of the Soviet Union, the Communist Party was prohibited for a while in Russia because of its attempt to overthrow Gorbachev in August 1991. In 1992 a court ruling allowed the party to return to the political scene. Several former Soviet Communists started new communist parties in Russia, but only Zyuganov’s CPRF managed to become successful. In 1996 Gennady Zyuganov entered the first presidential elections and competed against Boris Yeltsin. He finished second with 32 percent of the votes. Yeltsin won with 35 percent. During Putin’s presidency Zyuganov was less popular, but still a political force to be reckoned with. Zyuganov stood as candidate for the presidential elections in 2008 and again in 2012. In the last elections he received 17,18 percent of the votes and did not have a chance against Vladimir Putin, who collected 63,6 percent of the votes. The CPRF was more successful in the last regional and legislative elections. Following the results of the legislative elections on 4 December 2011, the CPRF held 92 seats in the parliament, which was an increase in comparison with the 2007 elections, after which the party held 57 seats. In 2016 the CPRF acquired 42 seats. The Liberal Democratic Party of Russia (LDPR) was founded in 1989 by Vladimir Zhirinovsky as the second official party in the Soviet Union. It fulfilled the role of being an opposition party, but according to former Soviet Communist Party politburo member Alexander Yakovlev, the LDPR was created by KGB director Vladimir Kryuchkov as a puppet party to control the opposition. In the West, the LDPR is known most for its leader, Vladimir Zhirinovsky, who created a personality-cult which absorbs all the party's attention and time. Zhirinovsky is Vvce-Chairman of the State Duma. 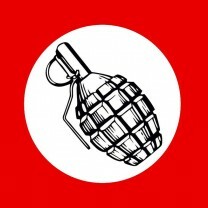 The party's ideology is one of extreme nationalism with imperialistic aspirations, and inclined to strong, even fascist, authoritarian beliefs. The methods it uses, both in and outside the Duma, are highly populist which accounts for the party's ambiguity over economic questions. The LDPR draws most of its support from the marginalised populations of the provinces who have suffered most from transition and reform. Notwithstanding its oppositional stance, in almost all cases, the LDPR votes in favour of the Russian President. Following the results of the legislative elections of 4 December 2011, the LDPR held 56 seats in the State Duma, that was an increase in comparison with the 40 seats it had after the 2007 elections. The elections of 2016 brought LDPR 39 seats. A Just Russia, also translated as ‘Fair Russia’, was created in 2006, through a merger of three political organisations: Rodina (Motherland), the Russian Pensioners’ Party and the Russian Party of Life. A Just Russia is a leftist social democratic party and plays its role as an alternative to United Russia, Communist Party or Liberal Democratic Party of Russia. In the 2010 regional elections they received an average vote of 15 percent. In the last parliamentary elections A Just Russia gained 23 seats. A Just Russia calls for a welfare state with less economic inequality, but protecting individual property rights and maintaining a market economy. Under Sergey Mironov, the party has presented itself as a socialist alternative to the Communist Party and describes its ideology as "New Socialism of the 21st century", but emphasises that it does not wish to return to Soviet style communism. In the 2007–2011 Duma, A Just Russia declared absolute opposition to Prime Minister Vladimir Putin's government, voting against the government's budgets in 2010 and 2011. However, since 2012 there was a noticeable change of the party’s course. In December 2012, most lawmakers from A Just Russia supported the Kremlin-backed “scoundrels’ law” that banned adoptions of Russian orphans by U.S. citizens and placed new restrictions on nongovernmental organisations. 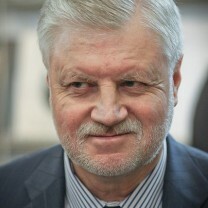 Later on, party leader Sergei Mironov issued an ultimatum to four of party’s oppositional activists to choose between party membership or oppositional protest movements. Those party’s actions are a final confirmation that the party is not an opposition party. Nowadays, the party mostly serves as a left-wing opponent party to show that the pluralism and multiparty system within the parliament exists while in reality the party is always ready to provide parliamentary votes for United Russia. Just Russia has the status of full member at the Socialist International (SI). The party has no official relations with the European Social Democrats or Party of European Social Democrats (PES). The Russian United Democratic Party Yabloko was formed in 1993 by Grigory Yavlinsky, Yuri Boldyrev and Vladimir Lukin. Yabloko means ‘apple’ and is an acronym of the founders’ names. From the beginning in 1993 until 2008 Yavlinsky was the party leader. In 2001 he was succeeded by Moscow City Duma deputy, Sergey Mitrokhin. 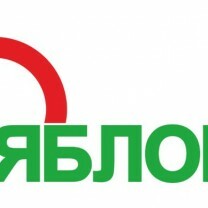 Yabloko is a social liberal political party. In the beginning of the nineties they were fierce adherents of greater freedom and civil liberties in Russia, as well as the introduction of a free market economy. Since the Russian presidency became more authoritarian under Putin’s regime they have warned for the deterioration of democracy in Russia. Yabloko has felt the consequences of Putin’s ‘managed democracy’ as well. In 1995 it reached its peak with 45 seats in the State Duma. In the 2011 parliamentary elections Yabloko only received 3,43 percent of the votes, which means the party was not represented in the State Duma. The situation was not changed by the 2016 elections, in which only 1,86 percent of the voters supported Yabloko. This decrease in political power also has to do with the lack of popularity of liberal ideas in Russia and internal conflicts in Yabloko. Criticism of Yavlinski grew within the party after Yabloko failed to gain representation in the Duma in the latest parliamentary elections in 2003 and 2007. After the failed elections of December 2007 (1,7 percent of the votes), there were increasing calls for his resignation. Yavlinski was succeeded in June 2008 as party leader by Sergey Mitrochin, leader of the Moscow branch of Yabloko. With the election of Mitrokhin, Yabloko seems to have chosen for the moderate wing of the party as opposed to the more radical wing, which is led, amongst others, by Yabloko St Petersburg leader Maksim Reznik, a chapter that historically has the most difficulty with the Moscow party leadership. 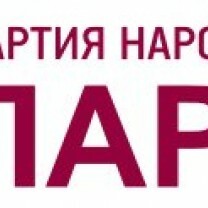 Yabloko is a member of the Liberal International. 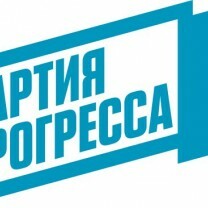 The People’s Freedom Party (for Russia without lawlessness and corruption) was founded in December 2010 by opposition politicians: (no longer registered) Republican Party chairman Vladimir Ryzhkov, chairman of the People’s Democratic Union Mikhail Kasyanov, one of the prominent leaders of the ‘Solidarnost’ movement Boris Nemtsov, and leader of the movement Democratic Choice, Vladimir Milov. The party was formed on the basis of a coalition of four organisations of its co-founders. At the founding conference of the party Kasyanov, Milov, Nemtsov and Ryzhkov were elected co-chairmen of the party with the Russian acronym ParNaS. In September 2011 Kasyanov, Nemtsov and Ryzhkov were re-elected as co-chairmen of the party. The party is very critical of Putin's regime. Its stated goal is to return Russia to the path of democracy and restore respect for the constitution. In June 2011, PARNAS was denied registration. The Justice Ministry said the party’s petition had dozens of false names and contradictions in its statutes. PARNAS called the decision political, but in any case lost any chance of participating in the December 2011 elections. The party decided to continue its activities and was an active participant in the street protests that followed the December elections. In 2016 elections PARNAS received 0,7% percent of the votes. The Progress Party supports Alexei Navalny, an activist who promotes democracy and tries to fight political corruption. In 2012 the party was established under the name “People’s Alliance” by founder Leonid Volkov. At the beginning of April 2013, the party tried to register itself by the Ministry of Justice, but they declined the application. During a party congress two months later the party adopted amendments, necessary for re-submission. However, the Ministry refused to register the Progress Party again. In November 2013, Navalny became a member of the Progress Party. He did not join the party sooner because he ran in the Moscow mayoral election in September 2013. One month later Navalny became chairman and the party introduced a new program. The main goal of the party is to fight corruption. In February 2014 the Progress Party was official registered as a party by the Ministry of Justice. However, two months later, the Ministry announced the possibility of a review of the registration of the party. In 2016 the party was not allowed to participate in the Duma elections. The Other Russia was a broad organisation connecting several political parties and NGOs that were united as an opposition movement throughout 2006-2010. The Other Russia was formed in July 2006. The movement represented itself as a “national platform” and did not run for elections. Its task was to “restore civil control of power in Russia, a control that is guaranteed in the Russian Constitution that is so frequently and unambiguously violated today. This aim requires a return to the principles of federalism and the separation of powers. It calls for the restoration of the social function of the state with regional self-administration and the independence of the media. The judicial system must protect every citizen equally, especially from the dangerous impulses of the representatives of power. It is our duty to free the country from outbreaks of prejudice, racism, and xenophobia and from the looting of our national riches by government officials”. The Other Russia was particularly known for the organisation of several ‘Marches of the Discontented’ in big Russian cities. The first one took place in Moscow on 16 December 2006 and was led by Garry Kasparov, former World Chess Champion, and other opposition leaders. These protests were some of the largest Russia had seen in preceding years. Demonstrations also took place before the presidential elections of 2008, with often negative and biased coverage from the Russian media. The marches still continued on the 31st day of the month, referring to Article 31 of the Russian Constitution, which states that Russian citizens have the right to assemble, a right that is often blocked by the Russian government. During these demonstrations many activists were regularly arrested, like Eduard Limonov, leader of the National Bolshevik Party (now called The Other Russia). In July 2010 a political party The Other Russia was established by Eduard Limonov. It didn’t participate in elections yet. Sergey Mironov was born in Pushkin, near Leningrad (now St Petersburg) on 14 February 1953. Between 1971 and 1973 he served in the Soviet Army. In 1980 he graduated from the Leningrad Mining Institute, in 1992 from the St Petersburg State Technical University, in 1997 with honours from the Academy of State Service of the President of the Russian Federation and in 1998 with honours from the St Petersburg State University. He has a technical, economic and legal education. Between 1978 and 1986 Mironov worked as engineer-geophysicist in various places. After a brief time of working as an engineer he entered politics and in 1994 he was elected deputy of the St Petersburg Legislative Assembly. In 2001 he entered the Federation Council of Russia as representative of St Petersburg. In 2001 he became Speaker of the Federation Council, but was dismissed in 2011 under unclear circumstances. Since April 2003 he was Chairman of the Russian Party of Life. A political party that does not exist anymore. In October 2006 he became the leader of the new center-left opposition party ‘A Just Russia’. Mironov was a candidate in the 2004 presidential elections but said he supported Putin. He received less than 1 percent of the votes. He supports the extension of the length and increased amount of consecutive presidential terms. Sergey Mironov is married to Lyubov Ivanovna. He has two children. Alexei Navalny, born 4 June 1976, is a Russian lawyer, political and financial activist, and politician. In 2009 he gained prominence in Russia by criticizing President Vladimir Putin and the amount of corruption the country faces. Navalny has a blog and organised large-scale demonstrations to promote democracy and to attack political corruption. According to the Wall Street Journal he is “the man Vladimir Putin fears the most” (2012). In September 2013 he ran in the Moscow mayoral election and came in second, with 27 percent of the votes. According to him this amount was higher, but authorities have committed fraud to make sure a pro Putin candidate became mayor. Navalny has been arrested numerous times. In July 2013 he was convicted of embezzlement and was sentenced to five years in a corrective labor colony, but after one day he was released. Navalny is chairman of the Progress Party and has intentions to run for president in the next elections. Navalny is married and has two children. Grigoriy Yavlinskiy was born in Lviv, Ukraine, on 10 April 1952. He graduated from the Moscow agricultural institute of H.V. Plehanov and defended a PhD in chemical industry. He ran twice for Russia's presidency – in 1996, against Boris Yeltsin, finishing fourth with 7.3 percent of the votes; and in 2000, against Vladimir Putin, finishing third with 5.8 percent. He did not run in 2004 or 2008, after his party failed to cross the 5 percent threshold in the 2003 Duma elections. In 2012 presidential election he was prevented from running for president by Russian authorities, despite collecting 2 million signatures of Russian citizens for his candidacy, as was demanded by law. Yavlinskiy is one of the founders of Yabloko and has been its leader for many years (1993-2008). In 2003 he developed a plan for dismantling the oligarchic system in Russia in 2003. Since 2011 he has been a member of the St. Petersburg Legislative Assembly and focuses on budget procedure law, energy saving and development strategy. He was nominated as Yabloko’spresidential candidate for the 2018 elections. The main goals of Yavlinskiy as a 2018 Presidential candidate are: termination of state lies, abolition of repressive anti-civil laws, release of political prisoners, renouncement of confrontations with Europe and the world, termination of military-political ventures and normalisation of relations with Ukraine. Putin secures fourth presidential term: What’s next?